Isn't it a little depressing every time you watch star trek or star wars and see all these cool things that we still can't buy today? Well I found something that I always wanted to have, that we can actually buy today! I remember when I saw the movie Hackers and near the end of the movie, The Plague (Fisher Stevens) was typing on a computer keyboard that was being projected onto the table. It was the first introduction for me to this amazing keyboard I thought was just amazing, as well as my first introduction to Angelina Jolie (Kate Libby aka Acid Burn). Although it didn't look like it would be the most comfortable and ergonomic keyboard, and although the movie was extremely full of cheese, I think everyone can agree they wanted that keyboard! The wait is over! And for me it arrived today! 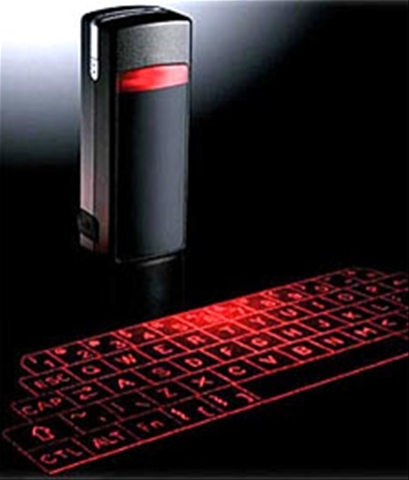 The Bluetooth Laser Keyboard is a small compact device that can project a keyboard onto any flat surface you choose. Once projected, you can customize the sounds that the keyboard clicks make, giving you the complete Hackers experience (*grin*)! I personally can’t wait to put this bad boy in my carryon bag and whip it out to type emails while I wait for hours for my delayed flights. The device projects 63 keys and is a full sized QWERTY keyboard! 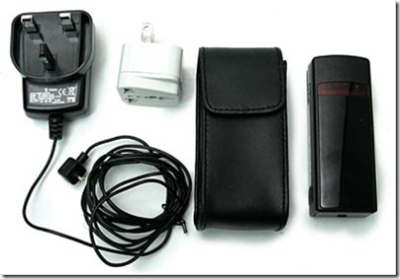 The device itself is about 3.5 inches high so it can literally fit in your shirt pocket, and set up with your blackberry! Super Cool! Ok at this point my wife is laughing at me for being such a geek. But it’s cool! When I first started using it I was a little bit worried that it would not allow me to type as fast as most keyboards, but I was mistaken, this thing can fly and has multiple key support. 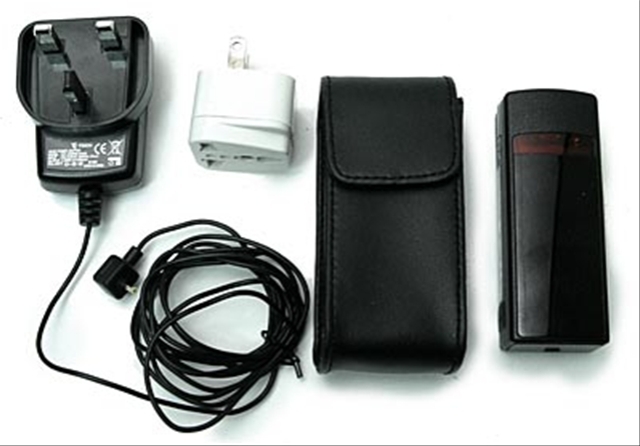 The kit includes the charger, the main display device, rechargeable batteries, and a travel kit! I wouldn't recommend this as your daily keyboard (I'm typing this article with it and I miss the padding and "give" a normal keyboard provides), but for some fun, as well as some practical benefits while you’re on the road, this thing is great! I'll be using this on my trip to Moncton next week! You can buy one if you like at I-Tech. Nice package with everything included! I thought I’d make a list of some cool toys I’m looking to get this year! Some of them are so cool! Well, actually they are all really cool!